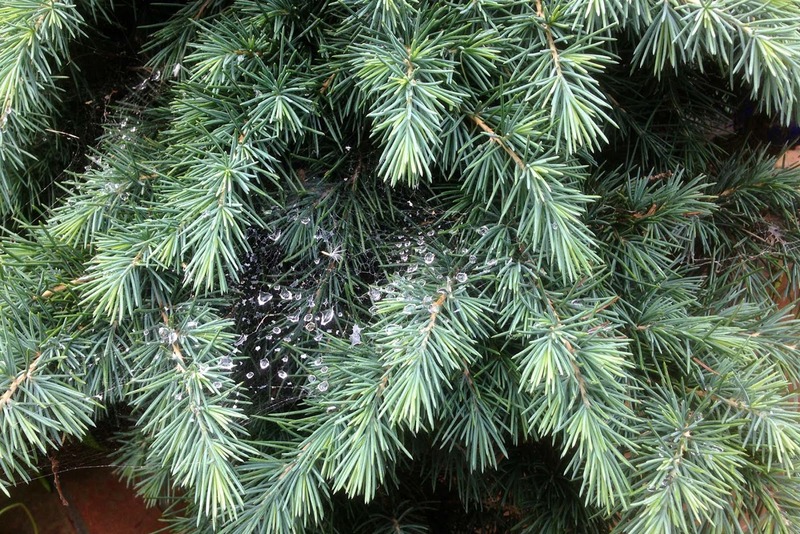 I saw the glimmer as I walked past the Christmas-tree-sized spruce that stood near the sidewalk. 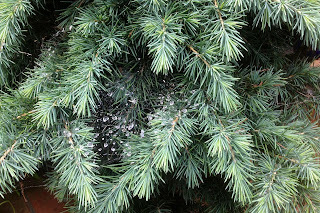 It was a spiderweb, nestled low among the silvery-green branches. Droplets of rain shimmered and glinted in the breeze. Nature's embellishments are sometimes half-hidden and often fleeting, but that adds to the delight when you discover them.